French country style has been a popular design choice for many years. This can give any room in your home an elegant and timeless look. A report by Realtor.com explains that this style trend started in the United States during the mid-20th century. 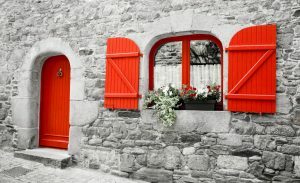 When giving your home a touch of the French countryside, expect to use materials like wrought iron, which Artmexinc.com says can add beauty to your interior; it also lasts a long time. Other notable elements of the French country style are painted furniture and exposed beams. Most of the designs took inspiration from the countryside, like Provence. Windows are some elements you need to consider to achieve a chic French country living room. Remember not to overwhelm them with heavy drapes. Keep natural light coming in to illuminate the space. Try using sheer panels to maintain the sunshine without compromising your privacy. You may also play with fabrics that you’re using in the space. Using certain prints is a common way to add a French feel to a room. Toile de Jouy is a popular design that reflects Provence. You can use this print in your upholstery, curtains, or wallpaper. It’s also helpful to mix and match pieces of furniture, such as sofas, chairs, and tables. For example, select accent chairs, like a pair of wingback chairs or a bergère chair, to give your living room a stately feel. Incorporating French country style into your bedroom is an excellent way to make it look feminine, colorful, welcoming, and casual. If done properly, you don’t have to worry about overpowering your personal style. Colors play an important role when you’re styling any room in a French country way. Generally, you may use warm, muted colors, like off-whites, earth tones, and muted pastels and jewel tones. For your bedroom, you can use different airy, pastel hues along with strong, vibrant accents. Popular palettes include creamy white and pastel tints of yellow, orange, and red together with various shades of gold, burgundy, sage green, sky blue, and black. French country style is also an excellent way to add contrast. Have fun layering fabrics with different patterns and textures to create an interesting visual appeal. You may also incorporate other elements in the room to create contrast, including the floor, wooden furniture, and headboard. The dining room and the kitchen are also ideal areas to use French country style. For your kitchen, consider having exposed ceiling beams, open shelving, and distressed wood floors. This combination can add charm to the communal space. Wrought iron décor and furniture can add a rustic look to your kitchen, too, especially with wooden materials. You can choose from iron shelves, tables, or chairs. If you want to use a chandelier in your dining room, better mix them well with other elements to achieve the look you want. For example, using a high-end chandelier and antique table and chairs will give your dining room an authentic Provence design. A French country interior never goes out of style. It’s the perfect way to introduce a bit of rural ambiance while still maintaining a hint of elegance.